Polls are open until Wednesday, April 30, 2014 at 11:59 PM EST. Enjoy! Today we strike a blow! For Freedom! For Justice! For all that is Right and Good with the world! FOR THE HERO OF TIME. There are sections of Ocarina of Time that are mind-numbingly boring. No such thing in Link to the Past. You can't count the time in between playing sessions as sections of the game, man. It's a symptom of too much Sonic. Any time where he's not running around like an idiot collecting shiny things is wasted time in Sega Land. Zelda V. Zelda...ugh. I like Zelda, but variety! I would vote for Sonic 1, 2 or 3 over Ocarina of Time. So I guess that proves your point. I might even vote for Generations over it. Ooooooo... preferring a slightly new Sonic. Why am I still allowed to post here? Zero lets in all sorts of riffraff these days. I remember when no-one knew how to get in and there were like 6 of us. Good times. I still really like that story. May be a boring ending but I think it's the right ending considering the final two. Of course this is like picking between two awesome favorite meals. They're both amazing anyway. 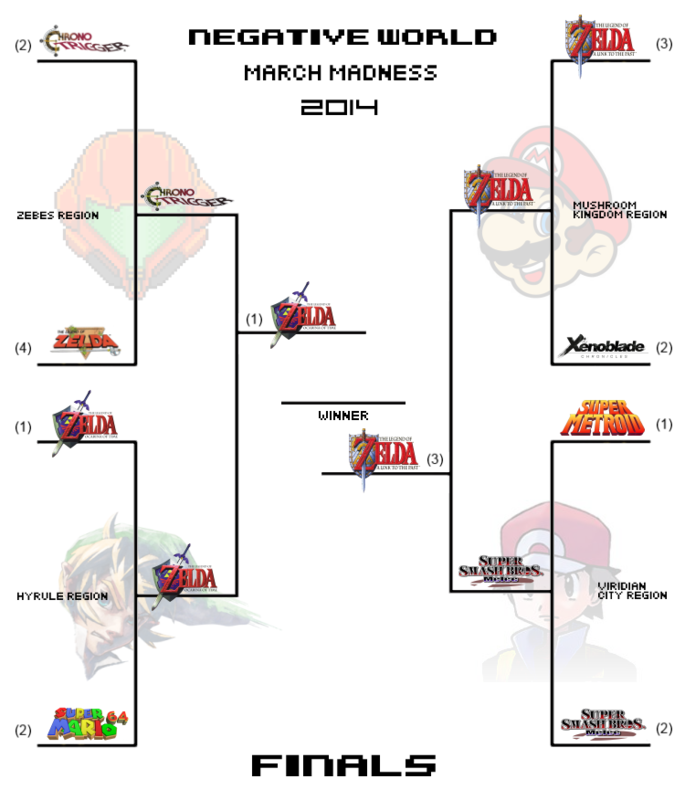 With the way the voting is going so far, it looks like Ocarina of Time will win this (big surprise...). I almost voted for ALTTP, but Ocarina completely blew me away the first time I played it. I'll try to put up the good fight, but it seems pointless now. Almost 16 years later...a few have come close, but none have topped it. The best game I've ever played. I agree with this. Stupid casuals picking the inferior 3D "remake"! Man, just because OoT uses the pendants/MasterSword/objects structure doesn't make it a remake! I'd say it added far, far more to the series than it borrowed from LttP. LttP also has some of the weakest characters and writing in the series.